Visit Old Town's Discovery 158 page. 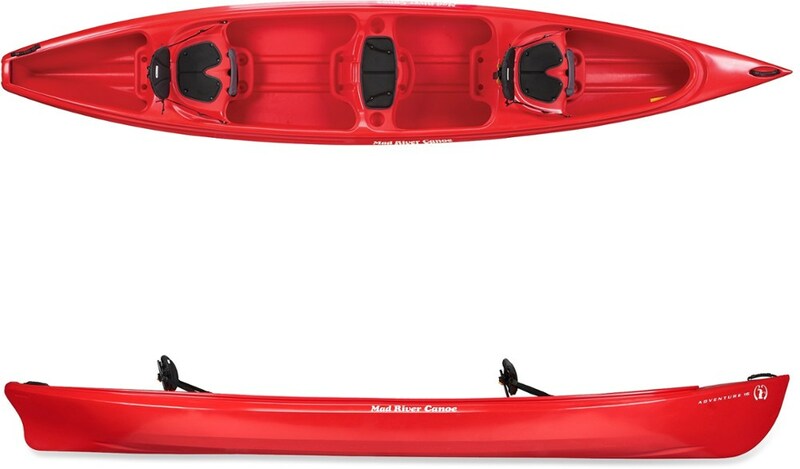 The Old Town 15'8" canoe, paddle and seat package is a longtime customer favorite for its ultratough construction and spacious design-fitting a family's worth of camping supplies while still being agile, stable and easy to handle. Canoe is made of durable three-layer polyethylene. Canoe has ash carrying yoke and thwart, grab handles, vinyl gunwales and nylon web seats. Lightweight anondized-aluminum paddle with eight-inch-wide blade and T-grip handle. Foldable two-inch cushioned seats on a sturdy, lightweight aluminum frame. 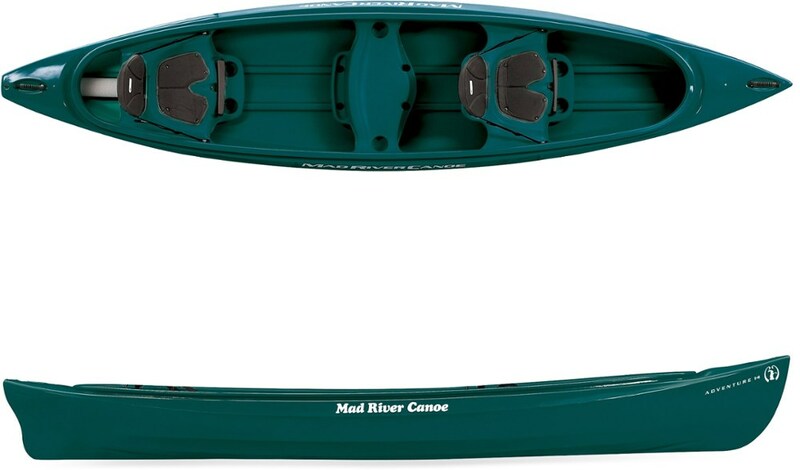 Includes Old Town Discovery 158 Canoe, two Sit Backer Canoe Seats and two Golden Light Paddles. Sleek hull shape makes the canoe surprisingly agile to handle. Paddle has cushioned shaft grip and is reinforced for pushing off from the river bottom. Cushioned seats bend in the center to conform to molded seats on canoes, power boats or bleachers. Adjustable nylon seat straps allow you to change the angle of the seat back. USA and imported. 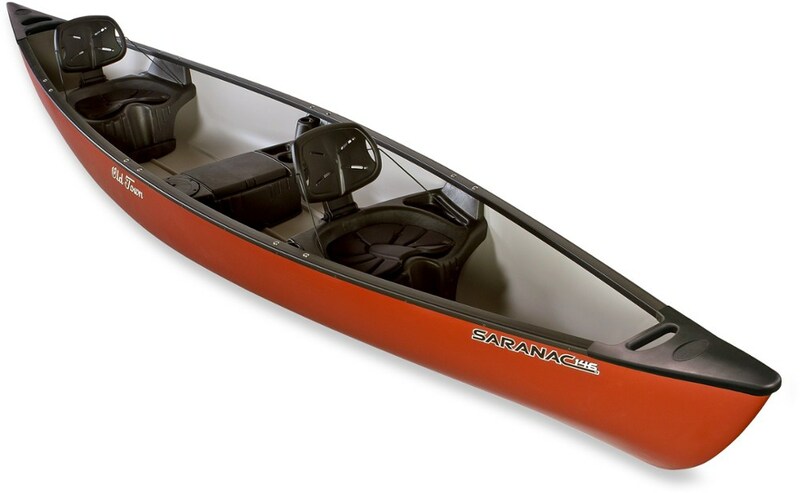 A rugged and tough canoe that is agile, stable and easy to handle, the Old Town Discovery 158 canoe is great for the outdoor enthusiast family to load with plenty of gear for a weekend away. 2NDS . 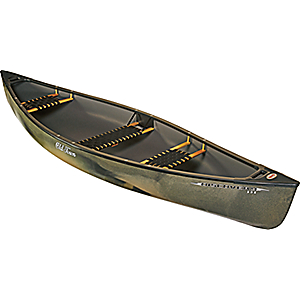 A best-seller thatand#39;s rugged, agile and easy to handle, the Old Town Discovery Outfitter 158 canoe features three-layer polyethylene construction and plenty of space for passengers and extra gear. Available Colors: RED, GREEN.